Any band that names themselves after a Cult lyric (“She came on with an alligator smile, dynamite lover, scorpion child,” from “Lil Devil”) deserves a listen. 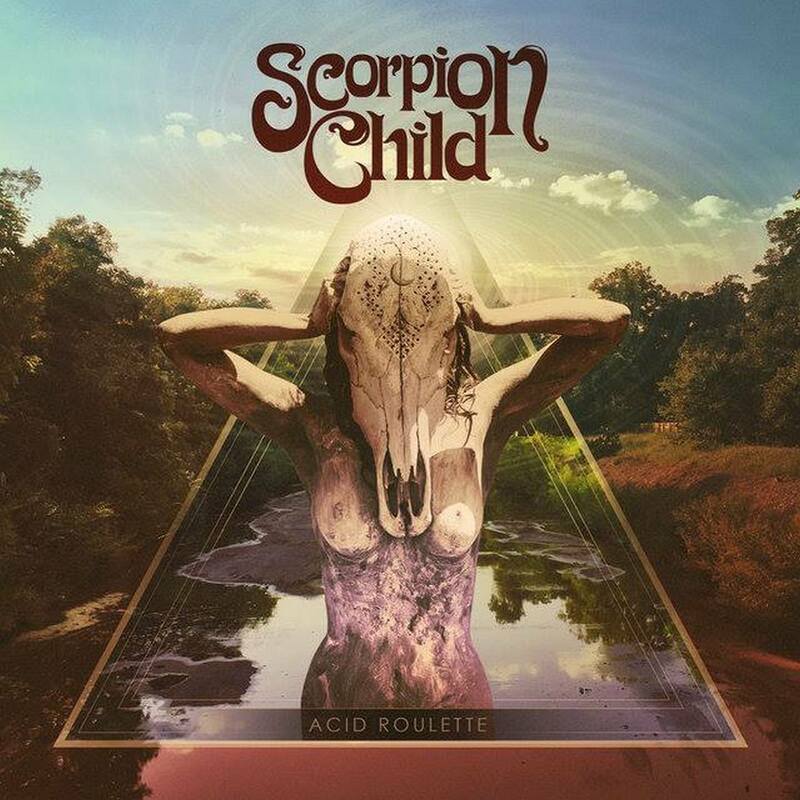 Austin, Texas rockers Scorpion Child are back, three years after dropping their debut. They’ve been touring and writing ever since, and Acid Roulette is the result. Over the last few years, the band have established themselves as genuine purveyors of 70s-style hard rock and metal, in the same vein as Led Zeppelin, Uriah Heep, Rainbow, and others. Their songs are big, hooky, and anthemic, centered around the bombastic vocal stylings (and phenomenal stage presence) of singer Aryn Jonathan Black. Live, these guys bring it every night, and they try to translate that energy to their records. This isn’t really the same Scorpion Child we heard on their debut. In fact, Black and guitarist Christopher Jay Cowart are the only members remaining from that record. The rhythm section has been swapped out, now featuring Jon Rice on the kit and Alec Padron holding down the bottom end on bass. The songwriting has matured and expanded a bit from the debut, most notably with the addition of organist A.J. Vincent, who solidifies the ’70s classic hard rock feel the band is clearly aiming for. Acid Roulette is a concept album – gimmicky, but completely in line with what the ’70s were all about. It is the story of a man who takes the fall for a murder rap, allowing his wife to carry on with her lover. The songs take the listener through the protagonist’s emotions as they progress throughout a year. Acid Roulette opens with “She Sings, I Kill,” a great name for a song. Immediately Vincent makes his presence known, with the churning organ intro that evolves into a Kylesa-esque, turbid wind-up, which in turn leads into the song proper – a ponderous, thick slab of classic heaviness. First single “Reaper’s Danse” follows, and gallops along with typical Scorpion Child energy. Classic hard rock is the best way to sum up Acid Roulette. The piano-led balladry on “Survives,” the dirge-like organ and bluesy grind of the title track, and the balls-out hard rock of “Winter Side of Deranged” and “Twilight Coven” are all stellar. Almost every song on this album begs to be played live. Album closer “Addictions” is so good, with its Black Crowes overtones and anthemic chorus, it will be a live staple for years to come. The chief detraction to ultimate enjoyment of Acid Roulette is the production and mastering. This is a loud, live-sounding record. Black’s vocals are drenched in reverb and delay, the drum kit crashes and explodes with ferocity, the organ torches speakers, and all this cacophony is compressed and cranked to annoyingly high volume levels in the mastering process. It all leads to an album that is an exhausting listen. Some restraint in these areas would have made Acid Roulette a near-classic. The songs and performances are there; if only the knob-twiddlers could have left well enough alone. I loved Scorpion Child’s self-titled debut album. As you pointed out, Acid Roulette is certainly a different album. Some highlights on the album for me are the instantly catchy “Tower Grove” and the way the ballad “Survives” falls right in the middle of the album to contrast the straight up classic rock vibe of the rest of the album. I’m enjoying Acid Roulette and by no means is it a “sophomore slump”, but I do think their previous album is slightly better.